And the new 'Red Dead Redemption 2' trailer from Rockstar. After Samsung's big event, we've got all the Galaxy Note 9 (and Watch, and Home) news you need, right here. Prefer to catch the highlights yourself? We'll run down the best parts of the event in this quick video. 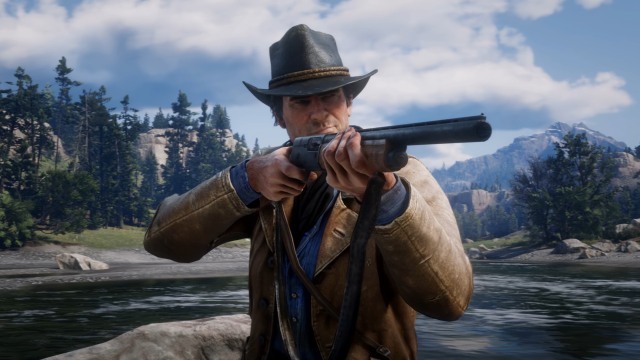 But that's not all -- there's a must-see new trailer for Red Dead Redemption 2, and we have a heads-up on the solar probe NASA plans to launch Saturday. Samsung has unveiled the Galaxy Note 9 -- the latest in its flagship big-screen phone series. Like its predecessors, it comes with a stylus, which has gotten a refreshing makeover. Samsung also added an AI photography feature, updated the dual cameras and threw in some compelling performance improvements that power users will appreciate. It touts a slightly larger 6.4-inch end-to-end 2,960 x 1,440 screen, a 4,000mAh battery that promises "all-day" use and a minimum 128GB of storage -- there's also a 512GB version that, with 512GB microSD cards, can give you a full terabyte of space. 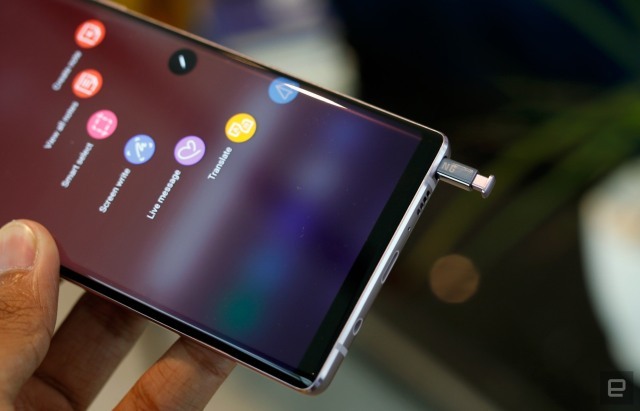 Also, now the S-Pen operates a BLE-connected remote control, its camera has help from Scene Optimizer AI software, its 10nm CPU uses a water-carbon cooling system and there's a new Wireless Charger Duo stand to power-up a phone and watch at the same time. Oh, and yes, Fortnite for Android is available on Galaxy phones first. The Galaxy Watch looks like an actual watch, not a smartwatch -- complete with a circular bezel and rotating design. 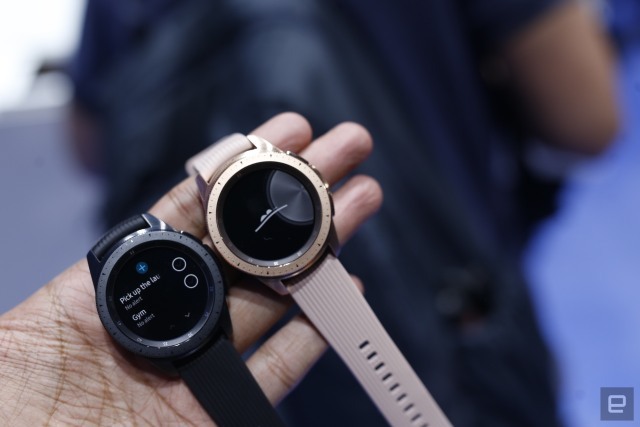 Many of the features are similar to the previous Samsung smartwatches, including LTE connectivity and a battery that lasts "several days," according to Samsung's Elina Vives. That's thanks in part to a processor that was created specifically for a smartwatches. All versions of the Watch come with 4GB of internal storage, but the LTE version will ship with 1.5GB of RAM -- that's twice the amount you'll get in the standard Bluetooth model. 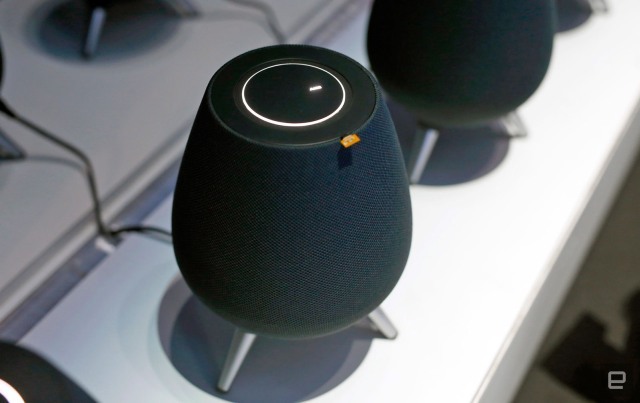 Samsung briefly showed off its Galaxy Home smart speaker yesterday, but the company left us with more questions than answers. We don't know when it'll launch; how much it'll cost; what music services, if any, it supports besides Spotify and, perhaps most importantly, what Bixby will be capable of when the Galaxy Home goes on sale. After almost two years of teases and a few delays, we finally have our first look at how Red Dead Redemption 2 will actually play come October 26th. Gunplay and melee combat takes a heavy focus in the clip, and both look vastly improved over the last game. Environments look positively gorgeous -- stylized rather than photo realistic -- and character faces follow that lead, staying out of uncanny valley. Things from the last game -- like a morality system, bonding with your horse and hunting -- look like they've been given a huge overhaul. Rockstar promises there will be more of these videos coming over the next few months, with episodes about missions, side activities (fishing! ), enemy gangs, how robberies will work and one dedicated to the new-and-improved Deadeye slow-motion targeting system. 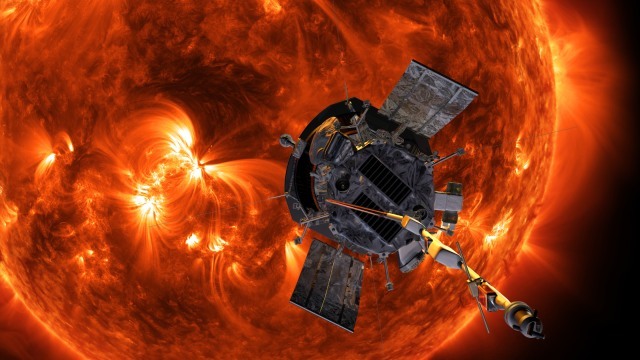 If the weather remains favorable and everything goes according to plan on August 11th, NASA is sending a spacecraft to the sun. The Parker Solar Probe will go closer to the massive ball of gas and plasma keeping our solar system together than any other spacecraft has gone before. It will brave extreme temperatures reaching up to 2,500 degrees Fahrenheit to collect data and images of the sun's atmosphere, called corona. The spacecraft will also reach speeds up to 430,000 mph, making it the fastest-ever human-made object.